It’s much more convenient than the old 10-trip tickets I used to get for my occasional travels on GO Transit: it fits in my wallet, it can be purchased in advance and used for any random trip rather than a fixed route between two specific end points, won’t expire when fares change, and uses card readers that are far less finicky than the old ticket readers. I bought and first used it for the Toronto-Newcastle portion of my trip to the cottage a couple of weekends ago and think it’s great. I look forward to being able to use my Presto card on the TTC. I love tokens and all, but seriously, it’s the 21st century already. 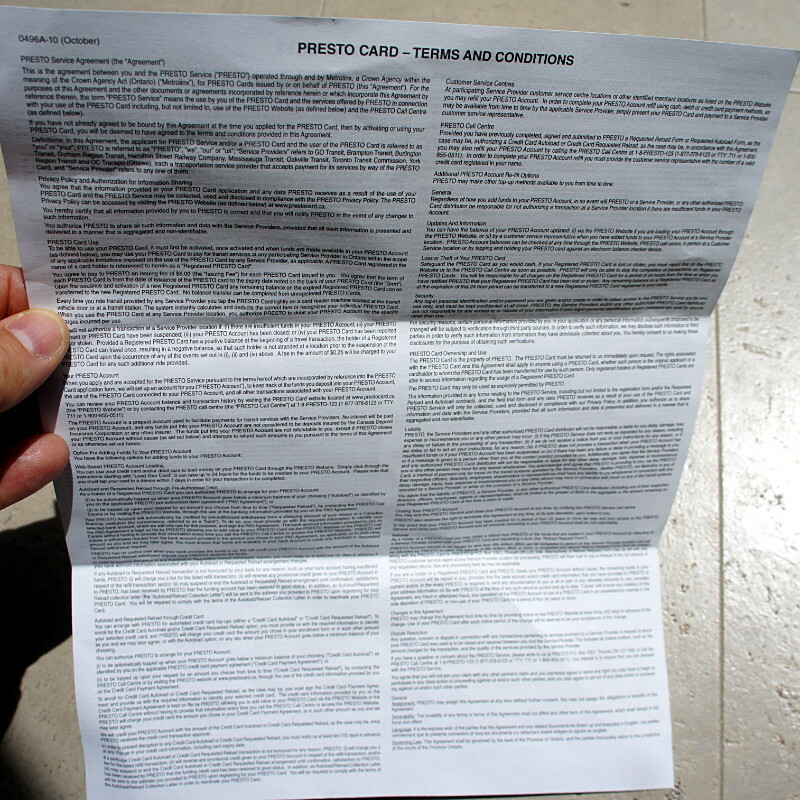 It’s a full page of impenetrable legalese written in virtually unreadable 5-point text. Some say that government should operate more like a business, but I don’t think that foisting indecipherable and unenforceable standard form contracts onto people is quite what they have in mind. I’m not really sure why they need all of this just to let me hop on a train. 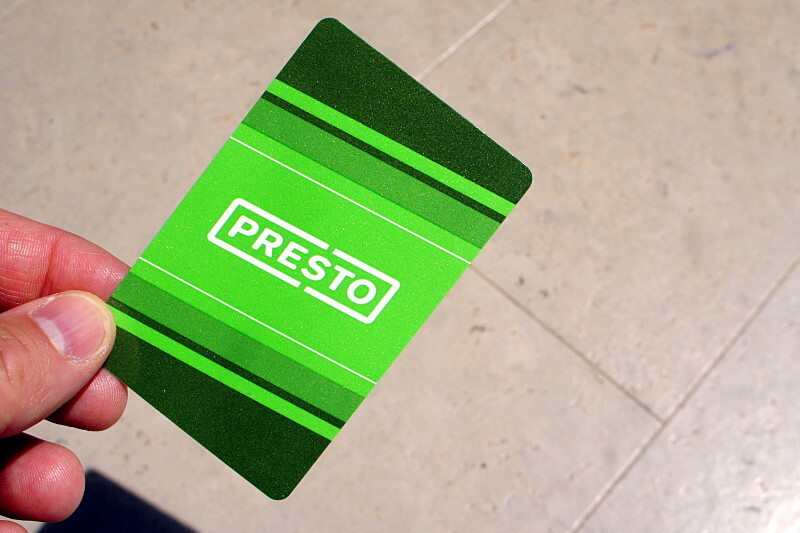 Still, I’ll take Presto over a 10-trip ticket any time. As an IT guy, I could poke holes in some of the customer-facing issues that betray back-end limitations, but that’s a post for another day. People who think that government should be run like a business understand neither government nor business. That’s right garbage pickers, you’re breaking the law: according to the city, one man’s garbage is not only not another man’s treasure, but it’s also a $10,000 fine for a first offence. And you thought you were doing something for the environment by keeping that old desk out of the landfill. Hrmph. C. No person shall throw any stone or ball of snow or ice, parcel, bundle or other dangerous missile or use any bow and arrow or catapult in any highway. No bows and arrows or catapults on the streets? There go those meddlesome bureaucrats again, interfering with innocent medieval childhood fun. Next thing you know, they’ll be regulating flails and quarterstaffs. Where one vehicle is met or overtaken by another, if by reason of the weight of the load on either of the vehicles so meeting or on the vehicle so overtaken the driver finds it impracticable to turn out, he or she shall immediately stop, and, if necessary for the safety of the other vehicle and if required so to do, he or she shall assist the person in charge thereof to pass without damage. I cite this as proof that drivers people (and the law) used to be civilized. I’m sure this clause had application at some point in our distant past, but it seems quaint and head-pattingly naive to suggest that someone today would get out of his car and help another driver to pass him. Unless flipping the bird and shouting out the window could be considered “assistance” in this context. Every person travelling on a highway with a sleigh or sled drawn by a horse or other animal shall have at least two bells attached to the harness or to the sleigh or sled in such a manner as to give ample warning sound. They must provide ample warning because, of course, horse-drawn sleighs are the real menace on our roads. No person shall race or drive furiously any horse or other animal on a highway. Good to see that the province is finally clamping down on street racing. No person keeping pigeons shall permit the pigeons to stray, perch, roost or rest upon lands, premises or buildings of any person or upon any public place in the City, except on the property of the person keeping the pigeons. So all we have to do is figure out who owns all the pigeons in the city and ask him to confine his birds to his own property? We should be rid of them any day now. No person shall sell personal property at a garage sale other than personal property that has actually been used on, about, or in connection with the residential premises or, in the case of a joint garage sale held with a neighbour, the residential premises of the neighbour. People sometimes accuse local politicians of poking their noses a little too far into residents’ private business, and with some justification. 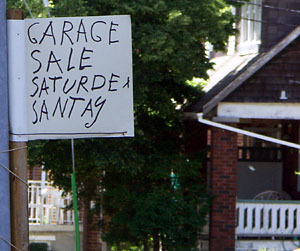 A by-law that declares residents must have used everything that they’re selling in a garage sale would seem to confirm the stereotype. This one rule alone eliminates most Saturday morning front yard staples: candles, exercise machines, and gaudy tchotchkes. How silly. 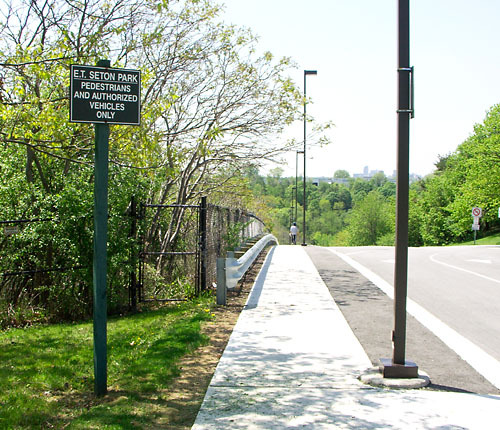 This must be what happens when you let lawyers get involved in a matter as simple as entering a park. While I’ve seen a few people walking their bikes up this hill, I’ve never seen anyone walk their bikes down. It’s not even a particularly steep descent, as roads into the Valley go. This is not a new restriction. I remember the cycling prohibition on this hill from at least the early 90s. It’s from a different era, when cyclists were regarded as fragile nuisances to be inconvenienced and shunned at every turn. While this view is still held in some corners, much of the world has moved on. 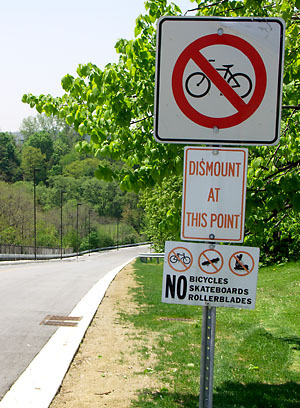 Few are the hills that still carry warnings for cyclists to dismount lest they travel too fast and lose control of their bikes, endangering themselves and offending the tender sensibilities of any nearby drivers.